Garmin has introduced two brand new wearables for 2016: the Vivofit 3 and Vivoactive HR. The Vivofit 3 is an upgrade to the existing Vivofit line, while the Vivoactive combines a smartwatch with a heart beat sensor for fitness tracking. The Vivofit 3 is Garmin’s third product inside its fitness tracker family. The Vivofit 3 comes with features such as step monitor; distance and sleep tacking; along with a calorie counter as well. Unfortunately, the smartband isn’t equipped with a heart rate monitor. According to Garmin, the Vivofit 3 has a year-long battery life and will be retailing from US$99.99 (about RM420) to US$119.99 (around RM500) – for larger band sizes. In addition to that, consumers will also be able to customise the smartband via interchangeable bands, which are designed by Jonathan Adler. The bands will be sold in packs of two for a price of US$39.99 (approximately RM170). 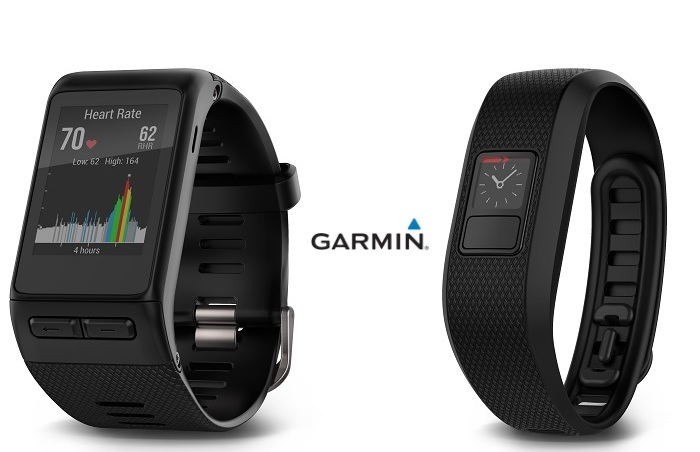 Garmin expects the Vivofit 3 to be available by Q2 2016. The second wearable from Garmin is the Vivoactive HR smartwatch. The smartwatch is packed with features such as a coloured touchscreen display, built-in GPS fitness apps and of course, a week-long battery life. The “HR” suffix on the Vivoactive represents the built in heart rate monitor that it comes with. Garmin has listed the price for the Vivoactive HR at US$249.99 (about RM1050), which is significantly more pricey compared to the Vivofit 3; then again, both wearables target different types of consumers. Like the Vivofit 3, the Vivoactive HR is expected to be available come Q2 2016. That being said, both wearables by Garmin does come with plenty of features that will surely be tempting for a handful of consumers.